How forex signals enable individuals to profit without trading on their own "
Software for mirror trading makes Forex trading more applicable and increase the average number of traders. It enables people without experience in Forex trading, to profit without direct participation. Usually, the first question that beginners have is “What is Forex mirror trading?”. The answer is simple, the work principles of the mirror trading are not complex. Method revolves around copying Forex signals and repeating them. More detailed: when one trader (supplier or dealer) opens a trade, special copy platform gets a signal and executes the same trade in the recipient’s account. Respectively when supplier closes a trade, recipient account repeats this action. If you want to try yourself at copying trading platform then important thing is to select a proper trading platform, for example, TradingFXSignals, which provides high-quality services, low latency, and experienced suppliers with low risks. The mirror trading with software or via online services has big popularity due to its simplicity and availability. Whether log in a social mirror trading network or copying platform, choose the supplier of trades and voila. The platform will copy signals of chosen methodology and execute them in your account. Don’t forget to check the slippage signals. 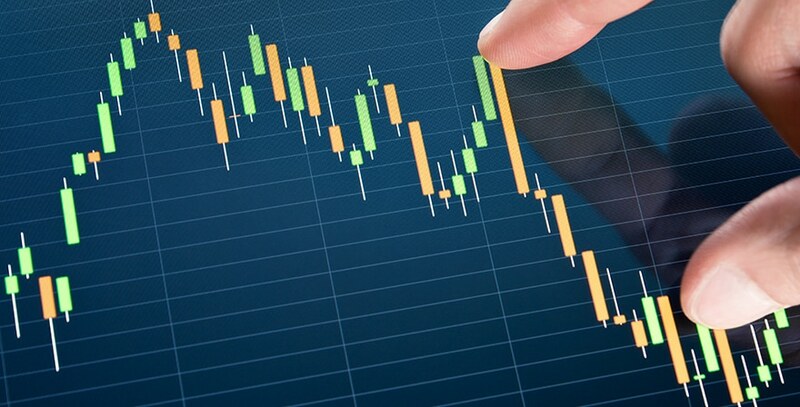 To avoid drawdowns, caused by slippage, you should set a range of specific parameters: conditions of auto-close trade or terms for stop use a certain methodology. Though trade mirrors work in real time, situations with slippage, bringing problems for traders, exist. It’s one more important reason to use a reliable copying platform. Our mirror trading platform has a wide range of customizable settings for our clients. You can setup function of Stop Loss, strict limits of maximum slippage, and the percentage of active portfolio that you will actually invest in instruments. Who are Signal Suppliers for Mirror Trading? Signal suppliers or dealers are traders, who trade in real or demo account. They do nothing for copying signals. The special platform does the automated trading work. They catch supplier’s signals and execute these trades on the accounts of the recipients. A lot of Forex mirror trading don’t care of the quality of trading signal suppliers. It can be people, who registered 5 min ago, and they already start to sell signals. It can be amateurs without experience in Forex trading, who don’t care about risks and profit of copy traders. TradingFXSignals, in turn, has another approach. Specialists check all traders before acknowledging them as our trade mirrors suppliers. Every trader has to fit certain requirements. We don’t allow too high-risk mirror strategies. All our suppliers have high ranked reviews and many followers, it confirms their maternity. Also, our platform lets to check statistic and characteristics of the traders, you can read feedbacks about everyone and track their success for previous periods of time. Most of the financial experts prefer strategy that creates at least stable 5-7% per month than odd methodology, benefiting 300% with big fluctuations and drawdowns. TradingFXSignals demands all suppliers to keep allowable values of the following characteristics: productivity, maturity, unpredictability, drawdowns frequency, and recuperation periods. Choose 3-4 of the most profitable methodologies for your portfolio from the table in our platform. Pick several suppliers after you investigate them, and choose the most suitable. If you have a modest portfolio, you better use methodologies with a normal amount of trades and high level of stability to prevent auto-shot of trading in case of drawdowns. Not to have an unpleasant surprise, check your signal supplier, and watch out if he suddenly changed his strategy. TradingFXSignals lets you separate your investment portfolio among several signal suppliers. You will choose which percentage of your passive portfolio should be invested. If you doubt about doing it properly, our platform will help you make a right decision, increasing productivity and break risks of the picked strategy. TradingFXSignals gives all followers higher level of control over their balance, so our platform includes a considerable measure of additional factors. There are many customizations, when follow a signal supplier. A beneficiary can set the slippage level, set up stop-loss, and take-profit. You can also opt choosing an inverse of trades. Such inverse trading strategy makes sense just for terrible techniques, but we are not recommending to use it. Most of Mirror trading services charge clients monthly for using their platform, and for a subscription to each closed Forex trade. Signal supplier decides on a fee for his Forex trading signals. Forex mirror trade signal suppliers chooses a fee charged depending on their gainfulness and rating. Typically, reliable brokers set higher charges and can be very costly. Trading signals can be sent to clients from email memberships, instant messages, or auto duplicating. This choice requires some action from the signal recipient (client): manual manipulations to receive an email or an instant message and trade. This way, a broker has control over his funds and chooses whether to follow a mirror trade signal or not. A signal receiver takes full responsibility for the transaction completely. Responding to a forex trading signal manually is always delayed, as it requires time during which the trade cost can change significantly. Timing is another significant inconvenience. In auto trade duplicating the signs are replicated lightning fast, with no signal receiver activity required. The user can try TradingFXSignals Mirror trade signals service without associating his real-cash account to it. Forex demo is an approach to free you up from the continually observing the market. A ton of clients has reported that Forex signals free up over 4.5 hours every day.